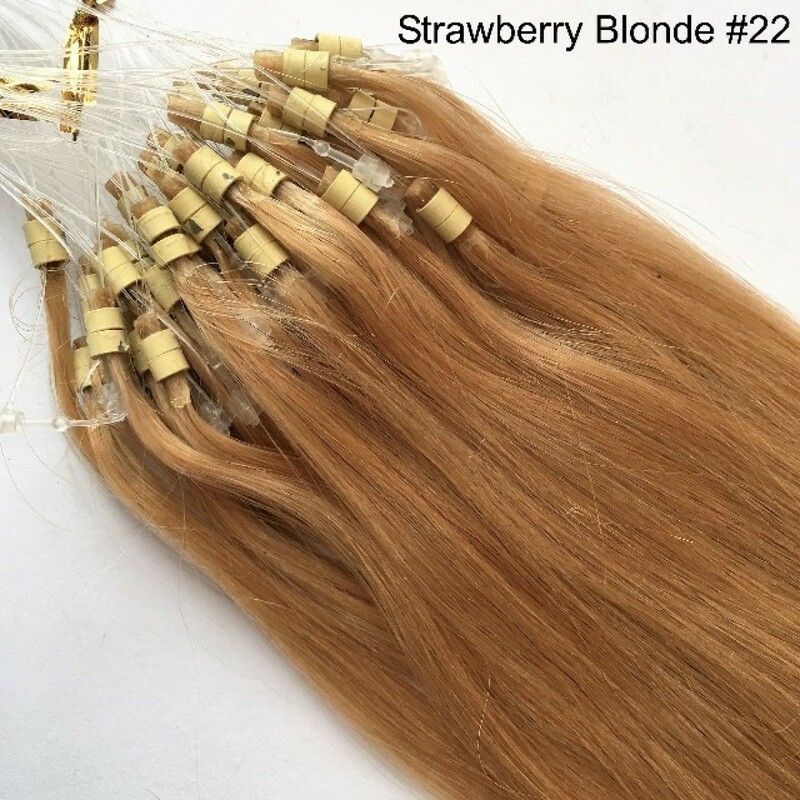 NINE COLOURS 20" Double Bead Easy Loop Hair Extensions 0.8g, 100% Remy A Grade Human Hair. Choose quantity & colour. 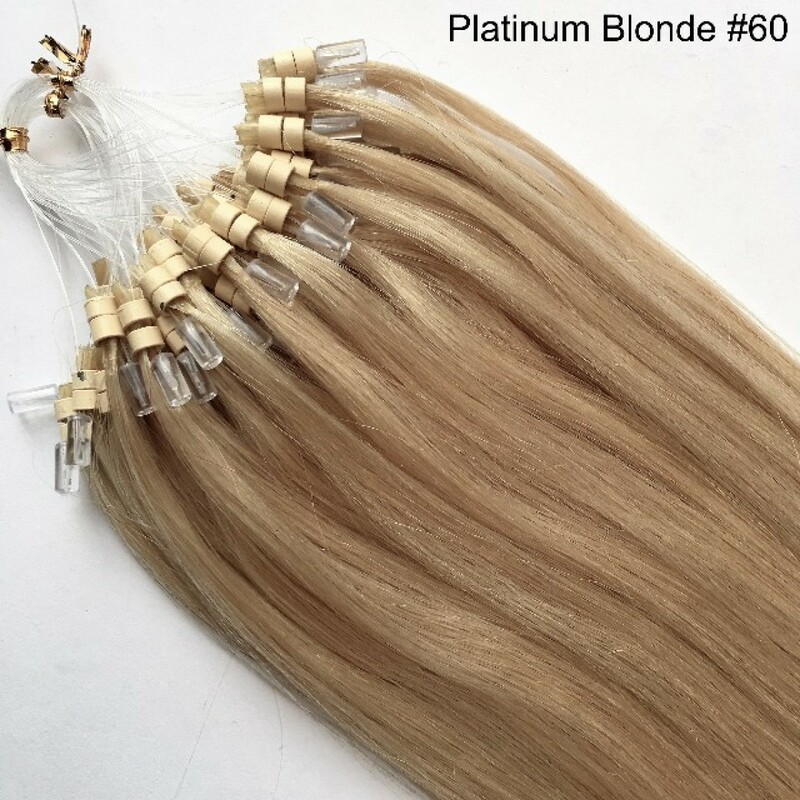 50 Strands per pack. 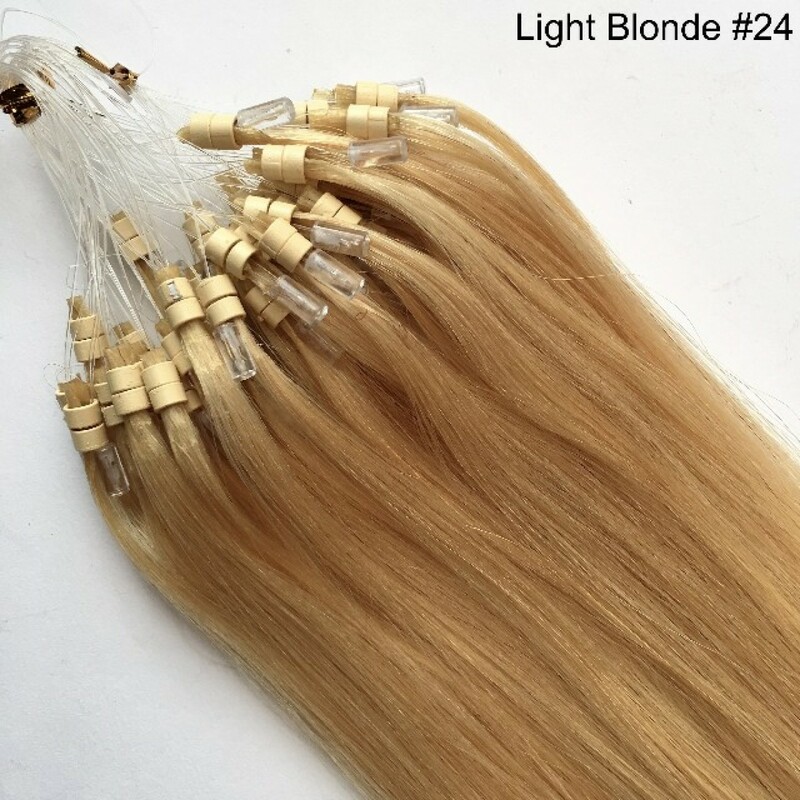 If you order more than one pack, you may mix & match colours in quantities of 50 if you wish. 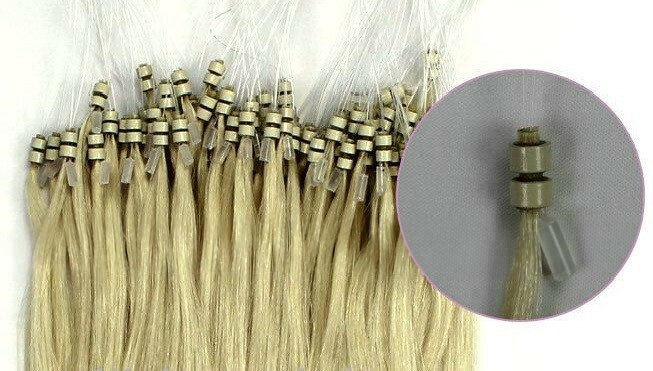 Double Bead Easy Loops are the perfect solution for those wanting semi permanent hair extensions. 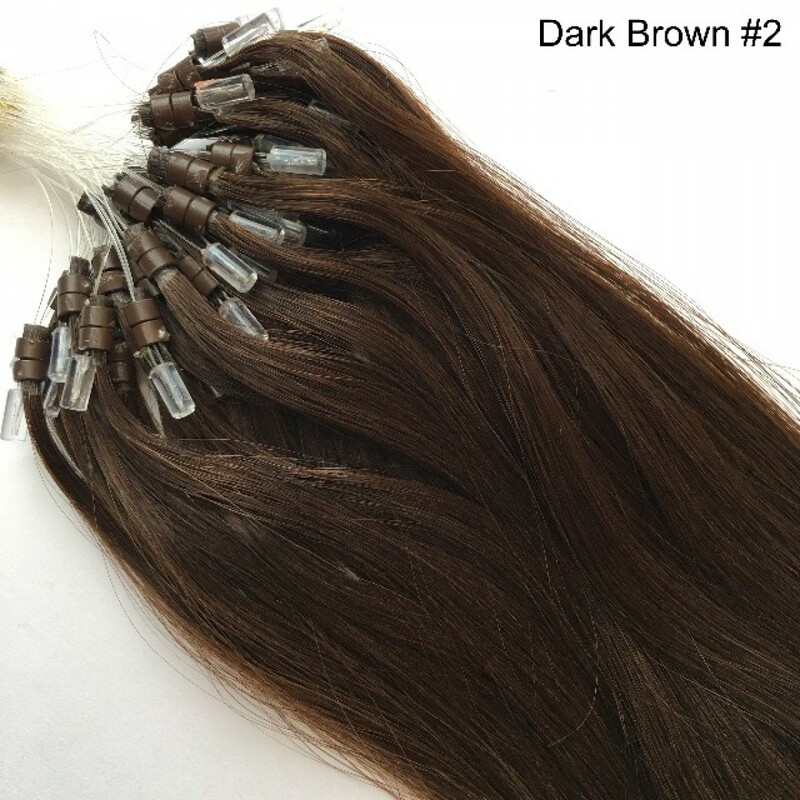 They are easy to apply and you will have long beautfiul hair in a very short time. 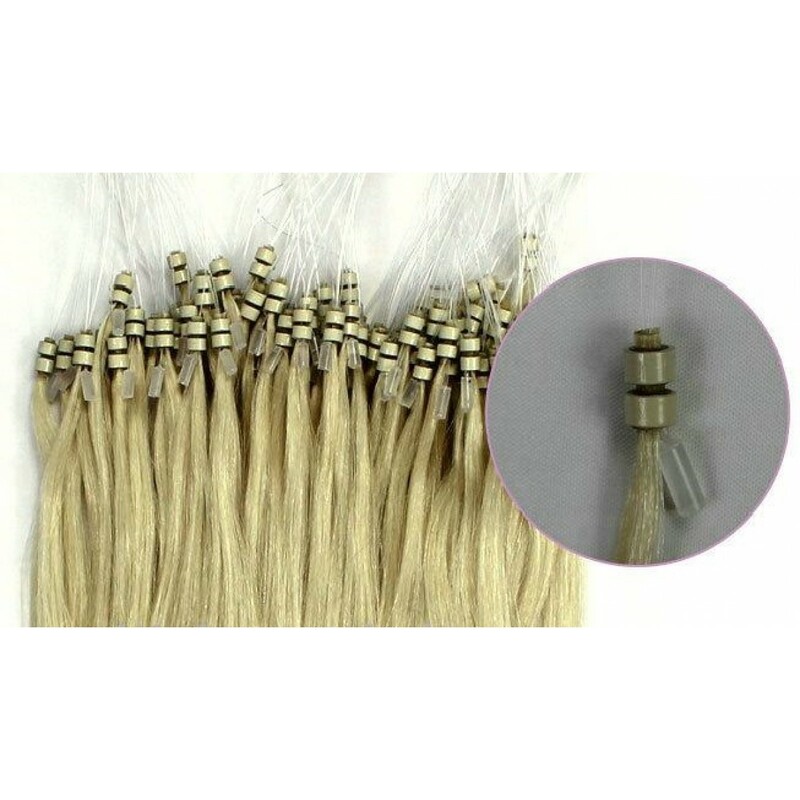 No messy glues or heat are required to attach Easy Loops. 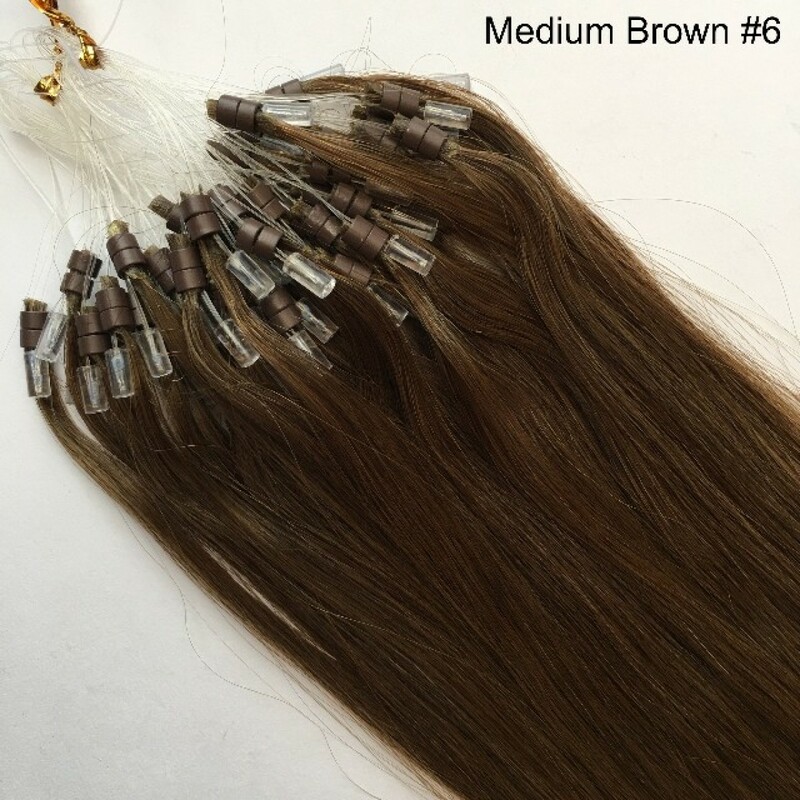 Each strand already has the small micro beads, and threading loop attached which makes them extremely easy to apply to your hair. 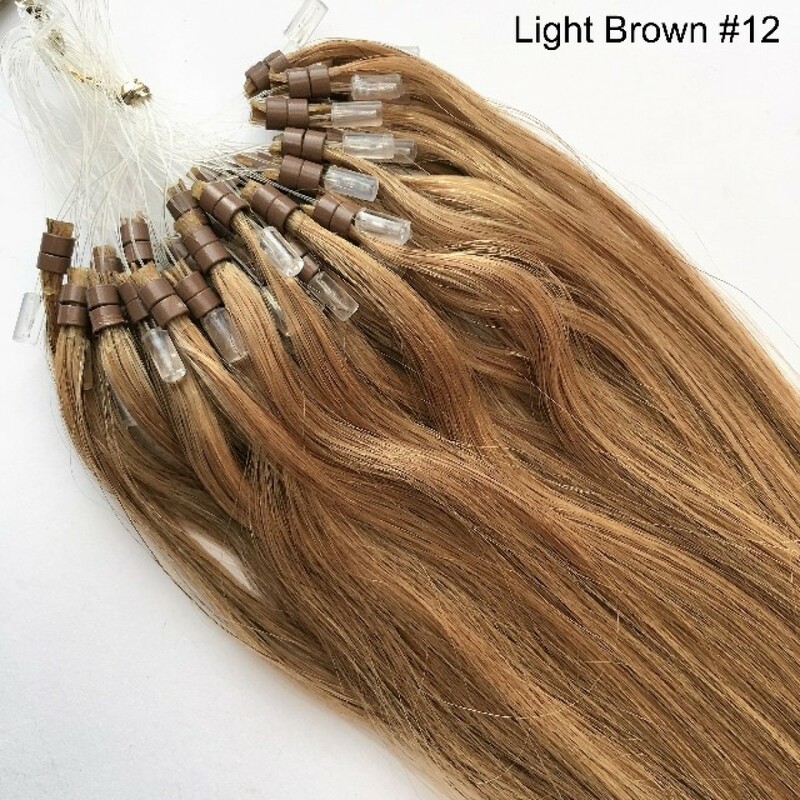 Section your hair, take a few strands of your own hair and place it through the loop. 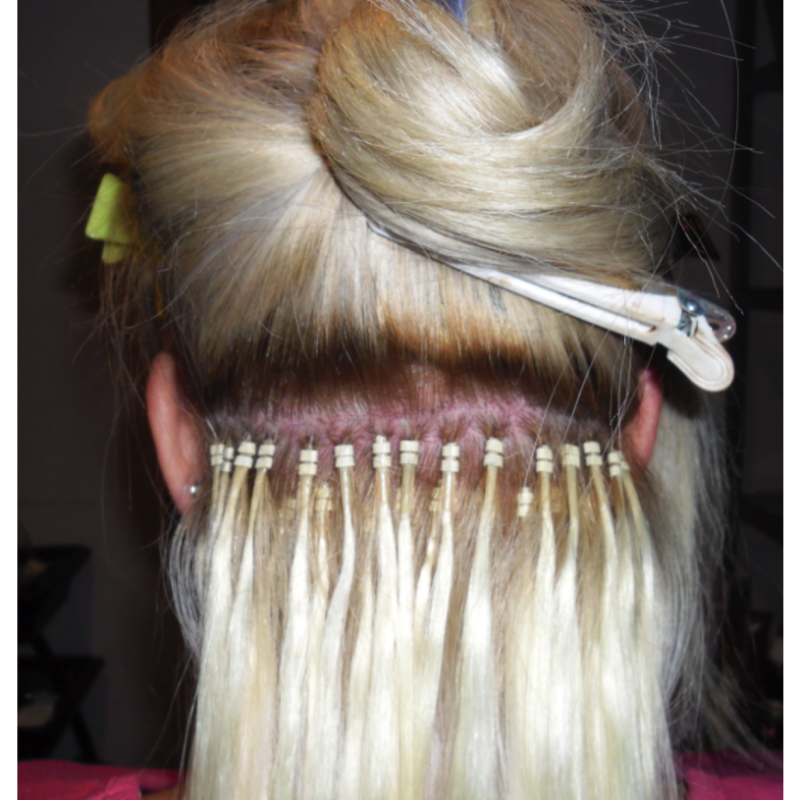 Pull the bottom of the loop and pull your hair down through the bead. 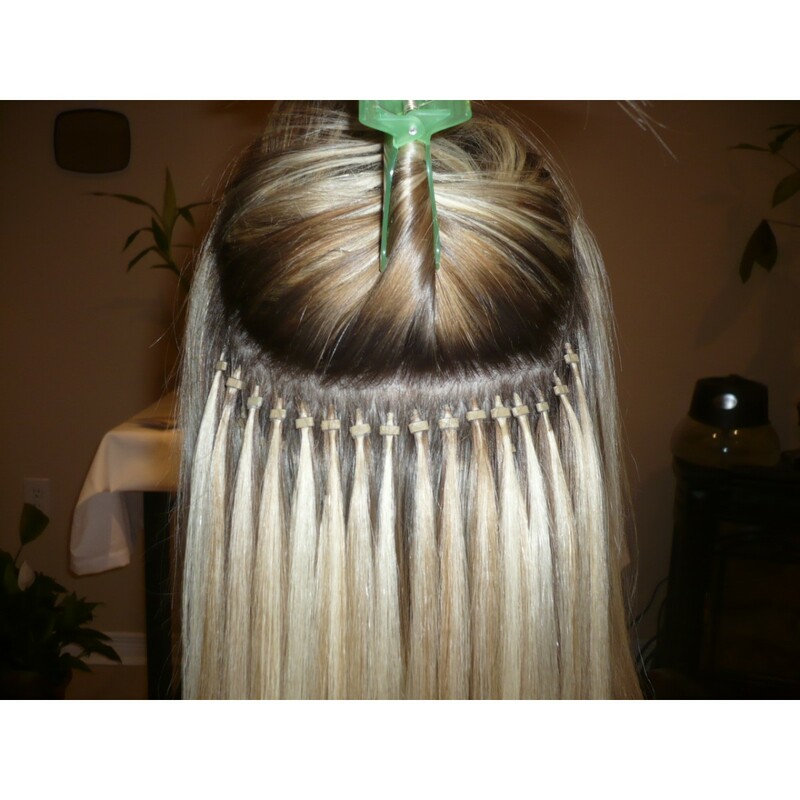 Position the micro bead near the scalp and clamp the bead closed with hair extension pliers. 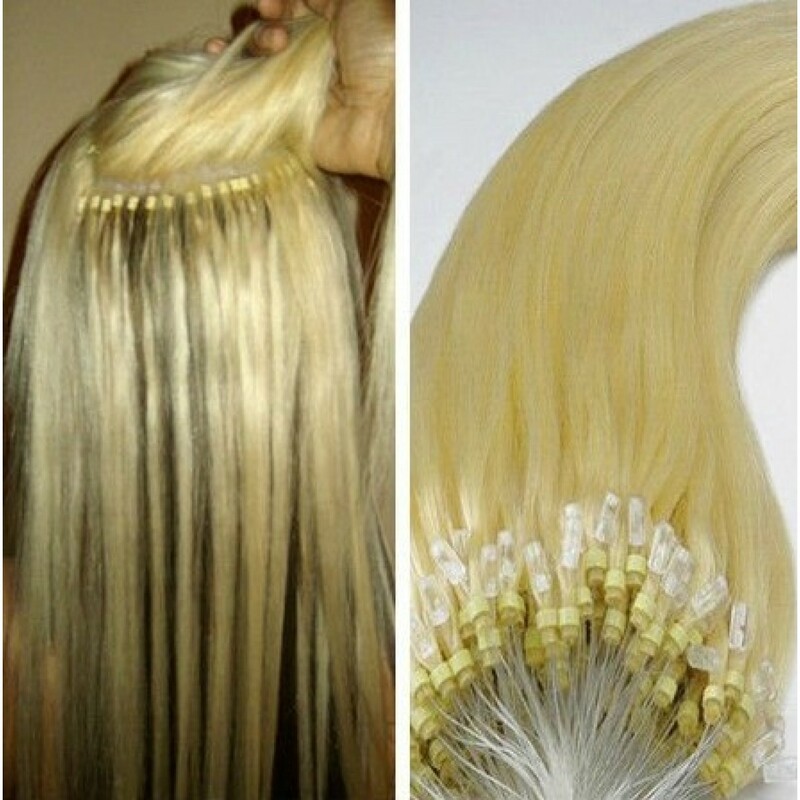 Continue working in rows around and up the head and you're done! 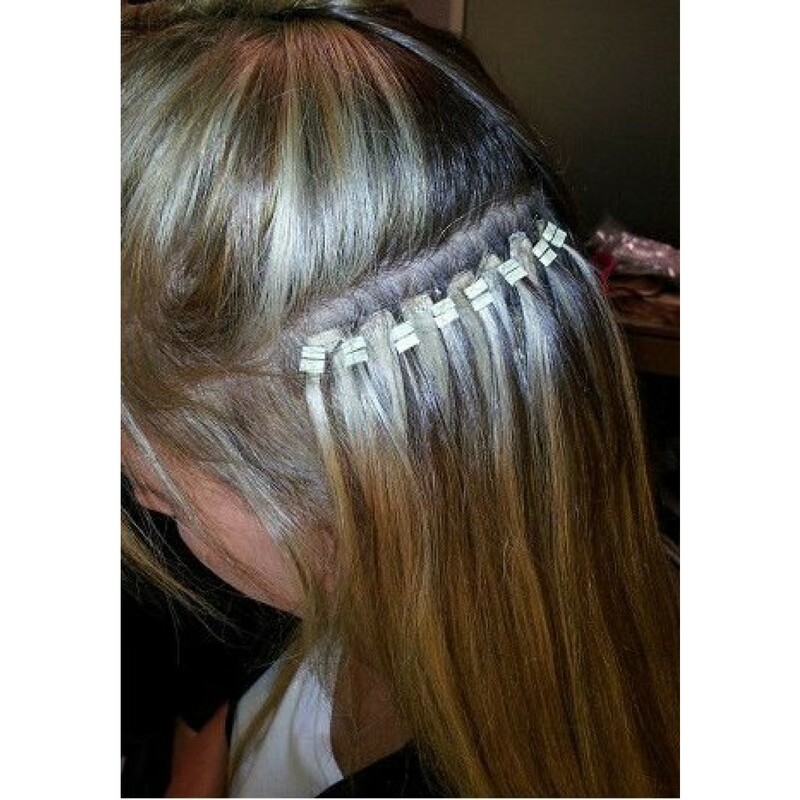 To remove the Easy Loops simply unclamp the bead and slide it down and out of your hair. 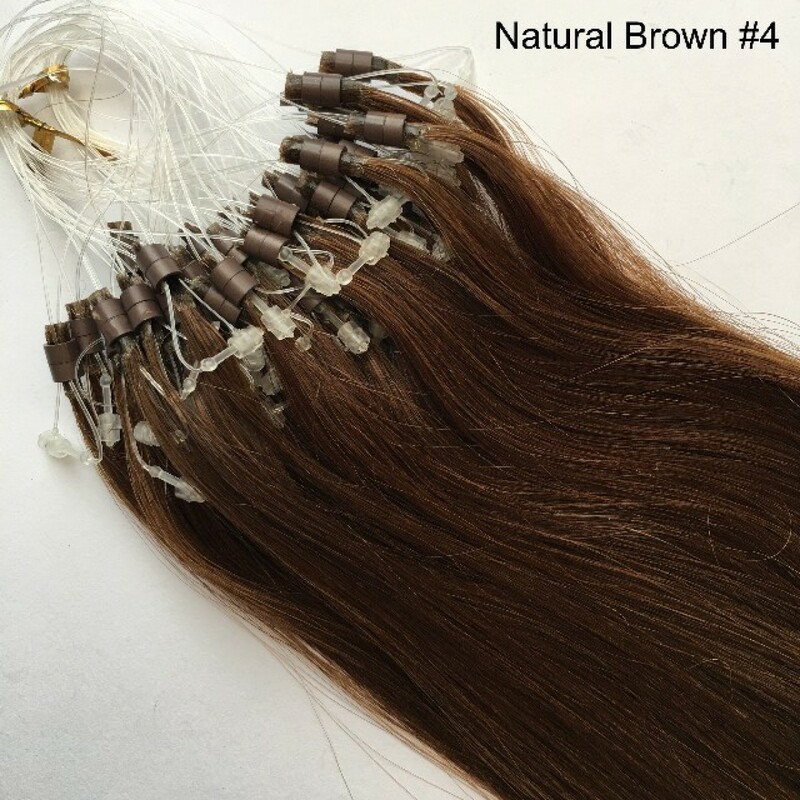 No damange is done to your natural hair. 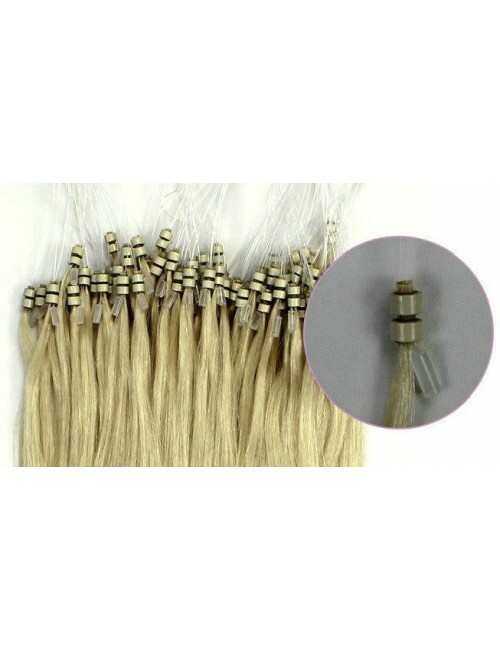 All Cleopatra Easy Loops are made from straight A Grade 100% Remy Human Hair. 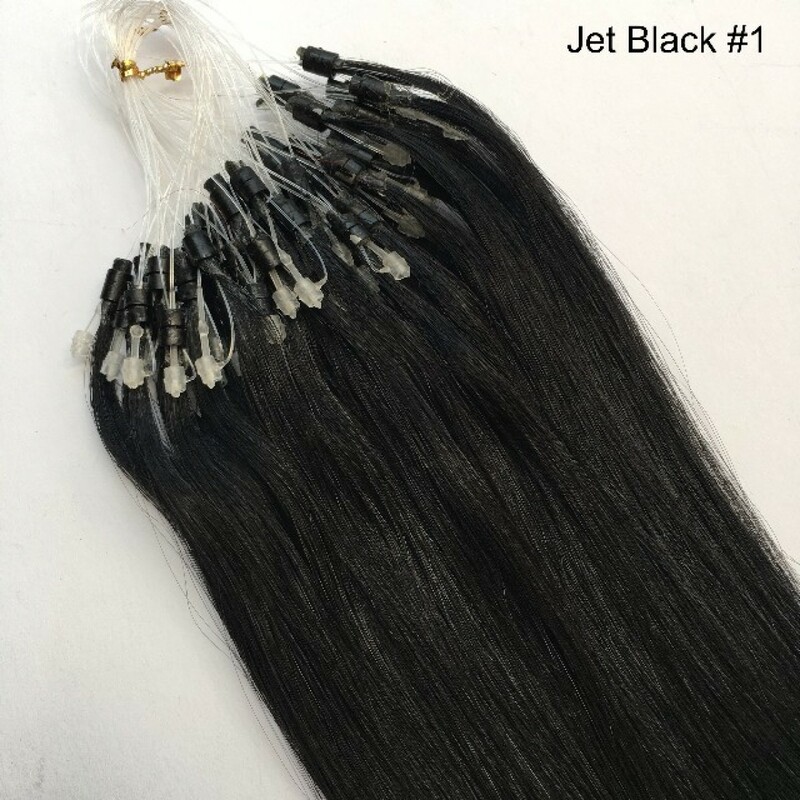 They can be washed, curled, straightened, cut and styled just like your own hair. You do not need to be a trained professional to apply Easy Loops. They are very easy to apply yourself, or with the help of a friend. 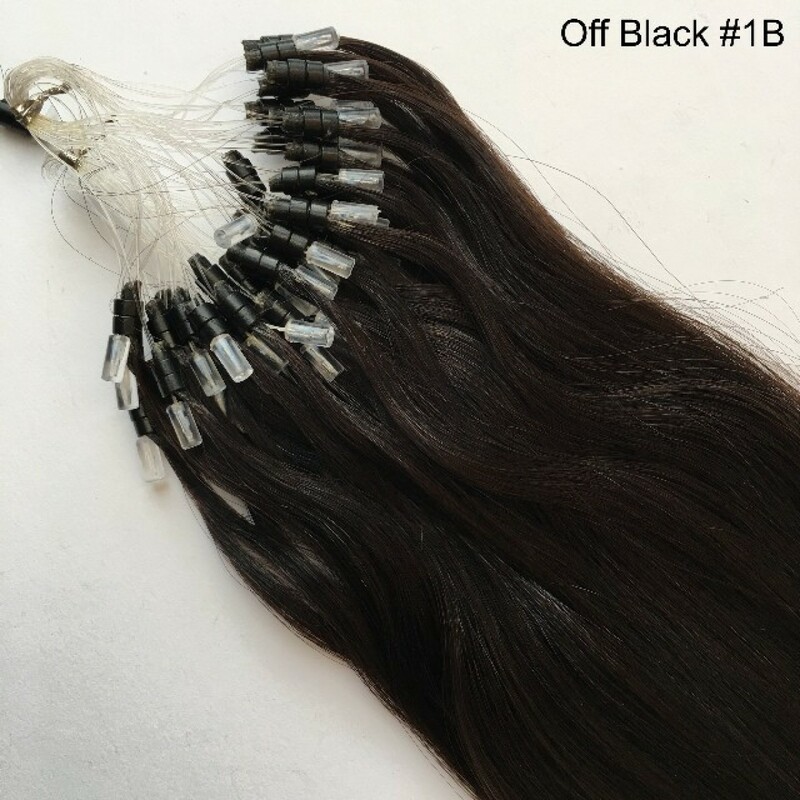 Full instructions on how to apply the Easy Loops are included with your purchase.